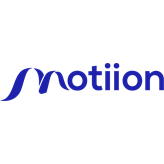 Motiion is a technology and data company for the food industry. We believe in transparency, diversity, merit and fostering a culture of accountability, personal impact and career growth. As a member of the first engineering team at Motiion you will have a unique opportunity to take products from concept to production as we build towards our goal of becoming the global technology platform for the food industry. You will work closely with the co-founder team and be part of not just defining and implementing our technology and product strategy, but also the way we work together as we scale our company. Demonstrated technical impact is a requirement, but management experience is not. We know that great products are built by collaborative individuals, not by managers. We also know that many amazing developers can be excellent managers, but that's often not what they prefer. Motiion values individual technical contribution and strongly believe it’s the key to Motiion’s success. The Motiion technology foundation is currently being designed and the following principles will apply: JVM based back-end. We believe in the robustness, richness and talent pool of the JVM and its ecosystem. Statically typed, modern language. Kotlin will be our lingua franca. Continuous deployment. Master will always be in production, branch time span short, and features under development will be hidden behind feature flags. Cloud first. We will leverage the differentiated features of the cloud we choose to maximize productivity. Micro-services. Not for the sake of the buzz, but for the sake of organizational benefits as we scale to achieve sustained, high feature velocity. Platform first. Motiion is building an open platform for the entire food industry, including third party application developers. We dog-food the APIs we share with our customers and partners. We are building a team of developers with a breadth of combined experiences so that we can collaboratively build great products. There are no hard requirements on specific educational background, technology, experience or geographical location. We are however looking for specific traits in the people we work with. You might not yet be able to check all of the boxes, but at least you aspire to do so! Eager learner, careful adopter. New technologies arrive all the time and you are eager to learn about them. You do not, however, replace your entire tool-chain every year. Starter and finisher. You often identify a problem, design a solution and bring it to a state of completion - alone or with collaborators. You enjoy software development and recognize that not all tasks can be equally fun. You find ways of eliminating or automating stuff that is uninteresting or wasteful, rather than complaining about them. Productive. You are fluent with your tool chain and can deliver well-designed, well-tested production-ready features quickly. Customer focused. User experience trumps everything. You understand that a product will have little value if the customers don't enjoy using it. Diligent, but pragmatic. You strive for correct solutions, but know what actually matters and when to make compromises. You know when to ship and when to optimize. Our main goals with Motiion are easy to explain: We want to build a company that we would like to enjoy spending the rest of our careers in, that has a positive impact on the world and that will outlast us. Want to get notified about new jobs at Motiion?